Dubl Digits lifts the humble day spa manicure and pedicure to new heights. Our day spa manicures and pedicures are effective, cuticle-caring and nail polish perfect. 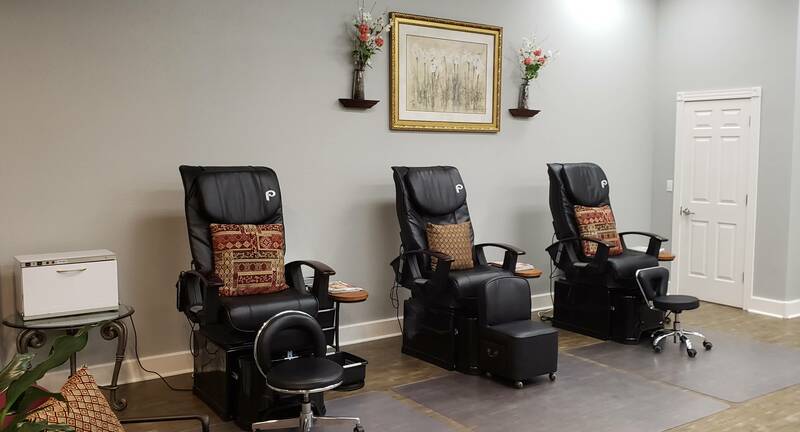 Choose a quick fix express manicure or pedicure and be polished and back in business in under an hour. Or make time for a day spa deluxe manicure or deluxe pedicure-even better with a friend. Deluxe Spa Pedicures start with a relaxing and skin softening soak. Deluxe Spa Manicures start with an aromatic oil soak. The end result: Day spa nails beyond perfection. Now Available for 2 people at the same time. Dubl Digits is committed to quality and by using the best products in the industry, we strive to keep up with the latest trends. Most of all we use acrylic and gel that is of high quality. We use gel (not gel powder added to acrylic powder) to do gel nails, that cure under a light during every step. This process does take longer as it tends to be a little more tricky. Though the end result is a beautiful display for your hands. If we were a client, we would come here. Dubl Digits believes that you, as a customer, deserves the very best. 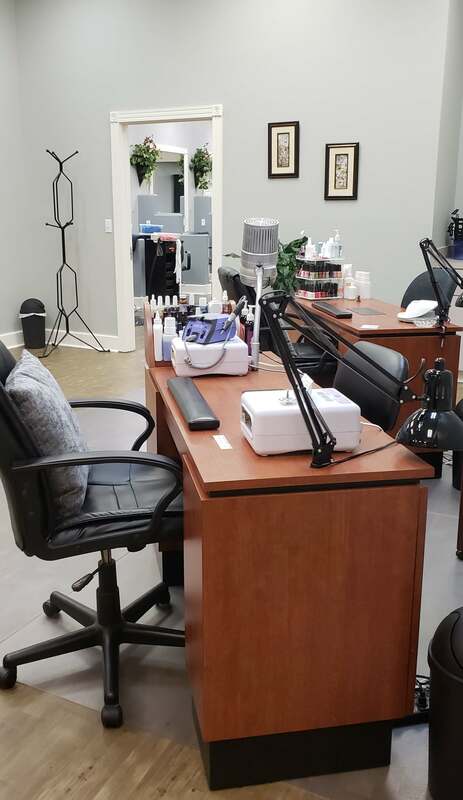 We want you to leave feeling relaxed, not rushed, and proud of your nails, every time.When scheduling an appointment, please tell us if you would like to have French tips. which in French, means “to rescue,” is a full range of nutrient rich seaweed based skin care products designed to help men, and women regain beautiful, healthy skin. A favorite at top spas around the world, the line focuses on treating acne and aging skin with seaweed-based formulas, which are rich in vitamins, minerals, and amino acids. Repechage was founded in 1980 by Lydia Sarfati, a leader in the skin care industry who is known worldwide for setting the standard in esthetic treatments. Her professional line of products have been proven effective to reduce the appearance of acne, fine lines and wrinkles, and it is used proudly at Dubl Digits in their facials and body care treatments. Indulge in the 4-Layer Facial for Dry to Oily/Combination skin and see why Cosmopolitan UK Magazine named this treatment as the “…best facial of the century…” This facial is a unique anti-aging, rehydrating facial that guarantees visible results. After cleansing and exfoliating, layer upon layer of freshly prepared seaweed applications will begin to rejuvenate, tone and help firm the skin dramatically and long-term. Two massages will soothe, and then enjoy a cool aqua green seaweed mask, followed by a warm mineral rich thermal mask. The result: healthier, younger looking skin that is nourished with visible moisture. Try the Biolight Miracle Facial to help brighten and diminish the appearance of hyper-pigmentation due to the sun, acne scars and hormonal changes while enriching the skin with its added anti-aging benefits. Clinical studies have shown that this facial and its marine and botanical actives work together to uncover a radiant, more luminous complexion. Biolight utilizes breakthrough skincare technology to combat hyperpigmentation before, during and after it occurs. This revolutionary new product line is a natural and effective method in your quest in achieving outstanding results without damaging the delicate nature of the skin. This facial does include a glycolic acid peel. If you do have the conditions listed in the GlycolSea Acid Peel we can still administer the facial without the peel. Deeply relax your body with the AromaTouch Treatment added to this facial. Rest and nourish your skin with this wonderfully balancing treatment and leave with a freshly hydrated complexion. This treatment will balance out your whole body. Try a professional body or facial waxing and your skin will look and stay smooth for weeks. These are effective ways to remove hair because hair is removed completely from the root. Hair growth is slow so you would only need to wax every 4-6 weeks. Please DON’T SHAVE for at least 10 days and allow hair growth of 1/4” prior to your waxing service to achieve the best result. During this 90 minute treatment, various sized stones that also vary in temperature are used as massage implements and are placed on key pressure points on your body to relieve tension. The Sea Stones are used in conjunction with reflexology and lymphatic drainage for complete face and body relief. The treatment begins by placing a large Sea Stone on the abdomen, or as we like to refer to it, your yoga, to allow you to focus on your breathing. This treatment follows by placing hot basalt stones, rich in iron, on your meridian points, including your underarms, chest, hands, and knees. Warm facial stones are then used to cleanse your skin, loosening debris and emulsifying oil. At the same time, a relaxing foot and hand treatment release tension, stress, and improves overall well-being. Cold Sea Stones are then followed by a cold French Seaweed Mask and cold eye contour therapy to reduce puffy eyes. Finally, a hot mineral mask allows for total penetration of the layers of fresh European Seaweed products to rejuvenate, tone and firm the skin for dramatic and long-term results.